OKLAHOMA CITY (Reuters) - Oklahoma will put future executions on hold until new procedures are in place as recommended in a report about a troubled execution that exposed shortcomings in the death chamber, officials said on Friday. A doctor and a paramedic failed nearly a dozen times to place an IV during an Oklahoma inmate's April execution and were unprepared for how to proceed once the line they secured to deliver a lethal injection began leaking drugs, the report released on Thursday said. "I expect the Department of Corrections to implement the proposed improvements in protocols to ensure that future executions are performed effectively," Governor Mary Fallin said, adding that the department has started to draw up the measures. Her office said executions will not resume until those protocols are in place. Department of Public Safety investigators made 11 recommendations to improve the process, including having additional lethal injection drugs on hand, additional training for medical personnel in the death chamber and leaving the IV area exposed so that it can be monitored. Three executions are planned in Oklahoma for November and December, the first on Nov. 13. None have been held in the state since the troubled execution of murderer Clayton Lockett, whose execution was halted about 15 minutes after it started due to the IV problems. Lockett eventually died from the lethal injection chemicals that had been absorbed into his tissue. President Barack Obama said in May the execution raised questions about the death penalty in the United States and he would ask the U.S. attorney general to look into the situation. Critics said the report exposed deep flaws that cannot be remedied quickly. "The mistakes that were made and the problems evidenced in the report are huge. Simply creating new protocols will not and cannot address the enormity of the problem," said Megan McCracken, a death penalty expert at the University of California Berkeley Law School. 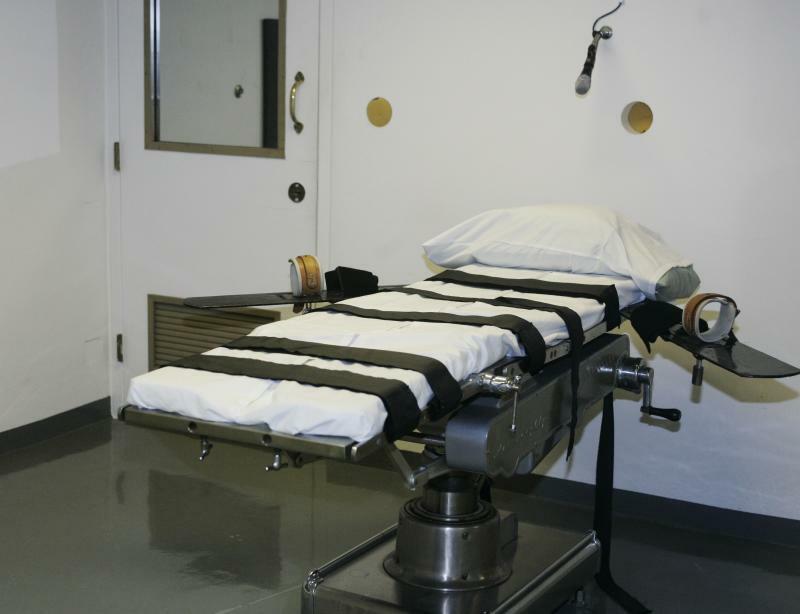 Oklahoma is also facing lawsuits concerning its execution protocols and the combination of chemicals it uses. My stepfather killed my mother, but he shouldn't die for it. I want to save his life.